Unfortunately I couldn't test the durability as the car is not mine so things like water behaviour and durability were out of my reach. And a bit far fetched to say it was just about a colour and a picture of a dressed tyre. People look for different things with different products. For me a tyre dressing is purely about it's application and it's gloss. These things I discussed in the review. 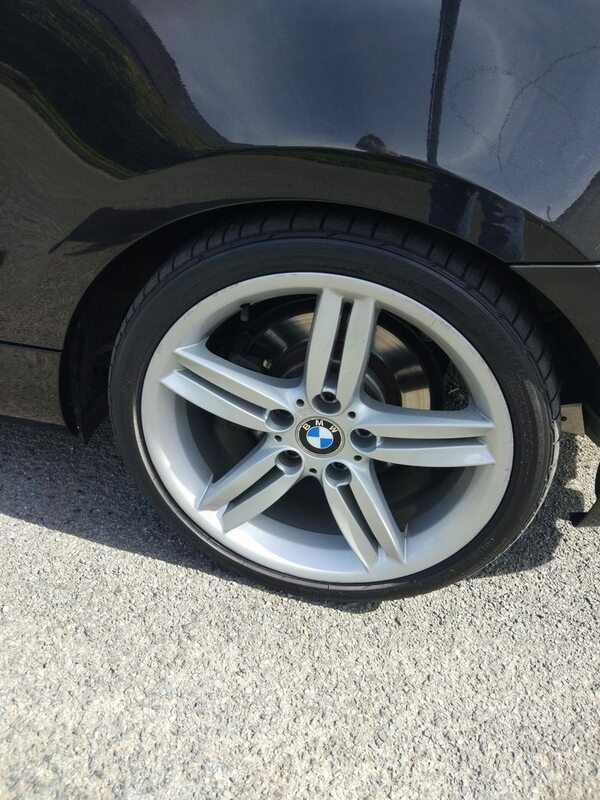 If I have to reapply my tyre dressing after every wash or every other but it's a piece of cake to apply and leave a high gloss then that's a product I'll buy. This is what I based my review on. If I can help answer this - I’ve been using it for months now, very easy to apply, easy to use. I use same applicator and don’t clean it, so it gets impregnated and spreads more. I’m tending to use 3 blobs per 2 tyres on tyres that have been dressed previously, 2 blobs pervtyre on tyres with nothing on. Smells like cherries to me. Gives a very nice gloss - but not too much. Don’t over apply it, rub it in / work it and I’ve found virtually no splatter / sling. Lasts in dry conditions easily a week or more (car gets cleaned every week). In wet conditions - can vary as depends on how wet and journey, so as extreme - if very wet and motorway, not long. Oh and I also find different tyres react differently to it, wife’s car has 2 continental tyres on rear and New Bridgestone on front and I find the Bridgestone tyres are better for it, it seems to need more work on the continental tyres and they don’t look “quite” as good. Been using this myself for around a month, I’m a massive fan of gloss so this sits well with me, I have always applied when dry so if using after a wash give the tyre a quick rub down with a old MF , generally the gloss lasts a good week or so but then only needs a little dab to spruce it up again. 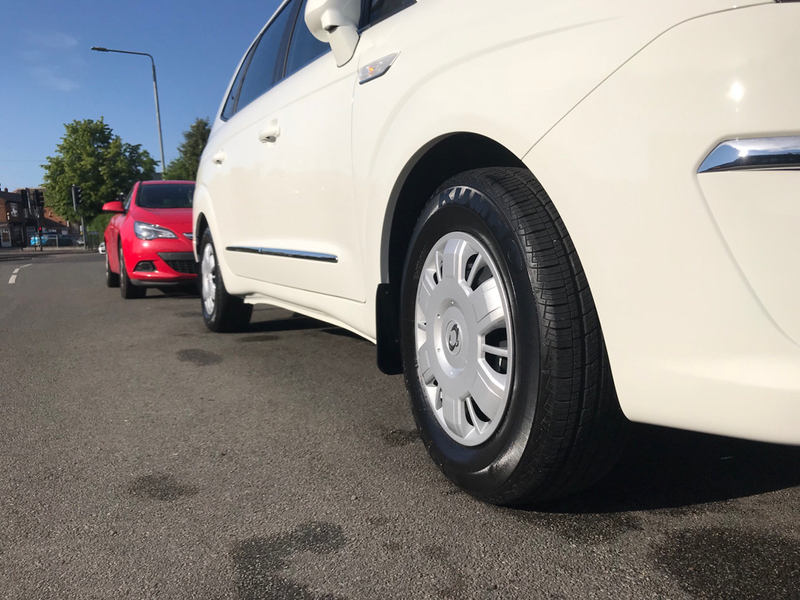 I never normally use tyre dressing as they either fling off or last for a short period....... but I tried the angelwax elixir and my god it's still glossy, even after that flooding we had recently and I drove through 3 large lakes. Autoglym seem to be on a roll atm and the tyre gel looks to continue that if it can last a few weeks. The UHD wax has really impressed me as well. Just a quick update from me to add to dchapamn88 review, I've adjusted the way I use / apply the gel and it seems to be better...previously, just used to apply some to foam sponge and wipe round as most probably do. New way - apply to foam sponge (as before), but now apply to tyre at 12 / 3 / 6 / 9 o'clock or NSEW if you prefer and then rub between each quarter - I've found this spreads it out better and allows a more even coverage, using less / less messy and seems to be lasting longer as well - now not sure of this is because it's being rubbed in more or because it's being built up on tyre now ? ?